partnership with NatWest have developed a new eye catching and informative training brochure; available for all YFC Clubs, Counties and YFC trainers. The training brochure contains lots of information about the courses on offer to YFC members; how taking advantage of these courses will strengthen both personal and professional development, boost members CV’s as well as benefitting their YFC’s. Courses are tailor-made for YFC members and associates; aimed at developing transferable skills to assist with the successful running of clubs and County Federations whilst enhancing career prospects. The training brochure is a valuable marketing and promotional tool; enabling you to showcase the variety of training available to clubs and your County Federation. 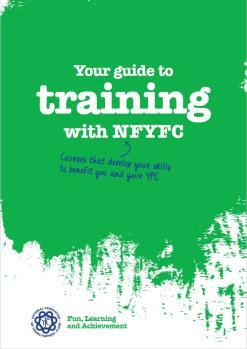 For more information or to request a training course please contact Josie.murray@nfyfc.org.uk.